Video screenshot from Raising Voices SASA! Members of the OECD Development Assistance Committee (DAC) provided $35.5 billion in aid to gender equality in 2014; this was an all-time high. Around 28% − nearly $10 billion − went to civil society organisations (csos). The vast majority of this aid supported international non-governmental organisations (ingos) or civil society organisations based in the donor country. In 2014, only 8% of gender focused aid to civil society went directly to csos in developing countries. No DAC agency is able to systematically track its funding to women’s rights organisations specifically. However, data reported by DAC members suggests that women’s groups may be missing out from the increase in aid going to civil society organisations for gender-related work. In 2014, $192 million was reported as targeting women’s rights organisations directly. This is lower than in previous years. Where resources are reaching southern women’s groups, they are typically small-scale and short-term. While small amounts of money can stimulate learning and innovation, they do not enable vital expansion, scale-up and strengthening of organisational and operational capacity. It was in this context that the Secretariat of the DAC Network on Gender Equality (GENDERNET) initiated a review to deepen understanding of how donors are partnering with southern women’s rights organisations, and what is working well and less well. This article sheds light on the findings. Gender advisors in bilateral agencies report a common set of challenges in their efforts to fund southern women’s rights organisations. One is the pressure to keep transaction costs low. This has been accelerated by staffing cuts in several agencies, resulting in fewer staff to administer grants and a preference for funding fewer organisations that can absorb large amounts of money. Concerns over perceived risk – financial and reputational – also shape resourcing decisions, encouraging donors to fund organisations that are already familiar to them (mostly northern based). A related challenge is the need to demonstrate impact – quickly and at scale. There is often a perception that (smaller) southern organisations lack the capacity to deliver at scale and to demonstrate results in a way that meet donor requirements. Concerns over risk and results are placing heavy demands on organisations applying for or receiving aid. One gender advisor lamented the “long list of difficult requirements” her agency places on CSOs in order to qualify for funding. She questioned the focus on internal management systems at the expense of what organisations are doing and achieving. Another challenge is the lack of dedicated gender budgets and expertise. Often decisions about funding women’s rights organisations are taken at the country level, in the absence of any corporate guidelines or common understanding of how best to do this. Support for women’s rights organisations then depends on the gender capacity of the country office and how far supporting women’s rights organisations is perceived as useful. According to one gender advisor, what would really make the difference is “a gender budget of my own”. These challenges are reducing donors’ appetites for supporting smaller, local women’s groups. This can undermine diversity and potential for innovation. Some gender advisors described the futility of investing in the capacity of local organisations while at the same time undermining their capacity by funding larger organisations, that can crowd out the space and funding for local organisations. How are donors navigating these constraints? Gender advisors in donor agencies are navigating these constraints with some success. Some agencies earmark flexible funds for catalytic work on gender equality to support learning and innovation. Others nurture medium-size national partners over the longer term through core support. Some invest in bilateral and multilateral gender equality funds or women’s funds to support women’s groups and grassroots activities which they could not fund directly. The most promising approaches use a mix of funding modalities to support partnerships with civil society organisations of different sizes and capabilities. Below are some encouraging examples. They point to possibilities for strengthening donor support to southern women’s groups and help dispel the myth that larger funders are institutionally unable to support those at the grassroots. Flexible, long-term partnerships that evolve as an organisation grows: Irish Aid’s support for the Uganda-based women’s rights organisation Raising Voices is a good example. Initially, the Irish Embassy in Uganda provided funding to support community mobilisation efforts to prevent gender-based violence and HIV. 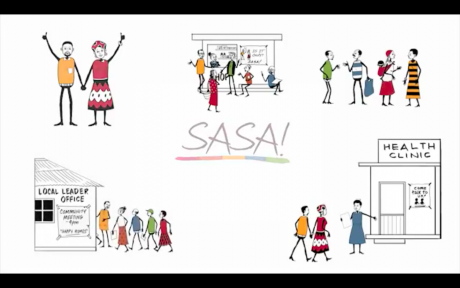 In 2012, Irish Aid and the UK Department for International Development funded a randomised control trial to assess the impact of Raising Voices’ SASA! community mobilisation methodology. Following highly successful results, Irish Aid took the decision to shift its support from its embassy to headquarters, and from project funding to core support. This allowed Raising Voices to expand beyond its practice-oriented work to adapt its SASA! methodology for different contexts and to disseminate learning on gender-based violence prevention at regional and global levels. Manusher Jonno on 'Orange Day'. Partnerships with national organisations that have legitimacy within communities: The Creating Opportunities for Poor and Excluded People (COPE) programme in Bangladesh shows the value of nurturing national organisations with established links to the grassroots. Supported by DFID, the programme is implemented by a national non governmental organisation, the Manusher Jonno Foundation (MJF). MJF supports around 117 ngos including women’s rights groups to work with marginalisd communities (e.g. minorities, people with disability, dalits) with whom they have long-standing relationships. The organisation supports not only building citizens’ awareness and capacity to raise their voices and claim their entitlements but also works with government to improve the accountability of service providers and public institutions, and to respond to citizens’ demands. The organisation is unique in also providing capacity building to “small partners” (community-based organisations or people’s organisations) that applied to MJF for funding but were unsuccessful due to their weaker capacity. The model enables local csos to come together to exchange lessons, innovate and strengthen solidarity in the face of tough political challenges. Support from donor agencies is more likely to be effective when harnessed to these locally-owned processes of change. Bilateral gender equality funds: When designed well, dedicated gender equality funds have proven an effective mechanism for donor agencies to reach southern women’s rights organisations with funding that is flexible and responsive to their needs. A good example here is AmplifyChange, which enables bilateral donors to support southern civil society directly, on a large scale and in a co-ordinated manner. Launched in 2014, AmplifyChange is a joint funding mechanism to support southern cso advocacy on sexual and reproductive health and rights. It has four funding windows tailored to a range of organisations, including small, grassroots and/or newer organisations. Celebrating the 20th anniversary of the UN Trust Fund to End Violence Against Women. Harmonisation with existing multilateral funding instruments: The advantage of multilateral funds is twofold. Firstly, they enable donors to support small and grassroots women’s rights organisations which they could not fund bilaterally. Secondly, they create opportunities to influence the international system and improve co-ordination of donor efforts in support of gender equality. There are a number of well-established multilateral funds to choose from, from long-standing instruments such as the UN Trust Fund to End Violence Against Women and UN Women’s Fund for Gender Equality, to newer mechanisms such as the recently launched Global Acceleration Instrument for Women, Peace and Security and Humanitarian Action. For these reasons, a number of bilateral donors are investing in and shaping UN funds as one way to deliver on their own gender equality objectives. DFID has engaged closely with the UN Trust Fund to End Violence Against Women. A priority for DFID has been getting more resources to smaller southern-based civil society and women’s rights organisations, in support of steps the Fund itself was taking. 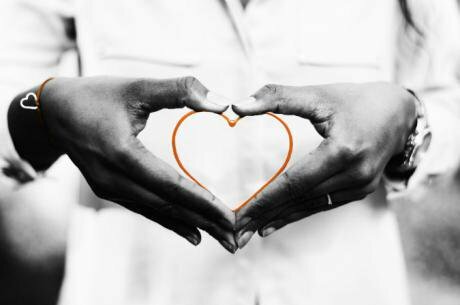 These efforts are paying off: the Trust Fund has adopted a new strategy for supporting small organisations and women’s rights organisations and recruited a small Grants Portfolio Manager to provide specialist support. Women’s funds: A handful of donors are looking to women’s funds as crucial partners in getting resources to southern women’s rights organisations and movements. Women’s funds are uniquely well-connected to women’s organisations at the grassroots level and can reach small and emerging groups that are less able to access larger sources of funding. For example, the Swedish International Development Cooperation Agency (Sida) is preparing its third round of support to Mama Cash. The partnership is driven by Sida’s commitment to supporting grassroots women’s groups, but also by the need to do so in a way that isn’t too burdensome for its own administration. Similarly, the Netherlands has allocated 40 million euros over four years to be channelled through four southern women’s funds, the majority of which is going through the African Women’s Development Fund. In general, however, DAC donors show limited awareness of the role and impact of women’s funds and are underutilising their potential to reach southern women’s groups. Reaching women’s rights organisations takes deliberate effort. Generic funding will not automatically trickle down to women’s groups: it takes an intentional approach that builds support for women’s rights organisations into the structure of funding mechanisms. For example, donors can earmark a percentage of the budget for women’s rights organisations, establish separate funding windows and insist that women’s groups sit on boards of funds. Better monitoring is needed of how much finance reaches southern women’s rights organisations – directly and indirectly, as core and project funding – and of the quality of this support. Donors should strengthen internal tracking and information systems to monitor this, and evaluate the support they provide to women’s rights organisations. This should include particular attention to relationships between grantees and the local women’s groups they sub-grant to. Women’s movements require breath, depth and diversity. Donors can best fund this diversity using a mix of funding streams and mechanisms; this includes direct support to mid-sized national and regional women’s organisations that work in an impactful way. Reaching the grassroots is best achieved by investing in specialist, well-anchored funding intermediaries, such as women’s funds. This is a win-win for donors, enabling them to get funding to the grassroots while subcontracting the partnership and administrative workload. Investing in the infrastructure of organisations and movements is the basics of sustainability, resilience and long-term change. This requires multi-year core support that i) allows women’s rights organisations to strengthen their organisational capacity and preparedness to seize new political opportunities, ii) strategically adapt and innovate and iii) persevere in the face of backlash. This is vital for the well-being and sustainability of organisations and activists on the frontline. Money matters but non-financial support is also crucial. Donors can commission research into the value-added of women’s rights organisations and can support women’s groups to conduct baselines and document their impact and added value. They can link women’s rights organisations with other potential funders and create spaces for women’s groups to be heard and have influence. They can lead from the front by convening peers and building collaborations around strengthened support to southern women’s rights organisations. In these ways, DAC donors can help foster safe and enabling environments in which women’s rights organisations and movements can thrive. This article is the responsibility of the author and does not necessarily represent the views of the members or the Bureau of the DAC Network on Gender Equality.